Not in the traditional sense, no. However, the modern form of barley wine shares many of the features of wine. It shares a similar ABV of anywhere between 8 and 14%, it is often sipped similarly to a traditional grape wine, and is aged to perfection. How much do you really know about barley wine? Really? How much do you about Bass No. 1? And what about Anchor Brewing Company? Read on, and I’ll tell you a tale. The first known and published Barley wines are known to come from Britain. While there is a very blurred line between Belgian strong dark ales and barley wines, the barley wines are normally distinguished through the yeast that is used in the production. Whether there is a Belgian yeast or an English yeast is the largest difference. 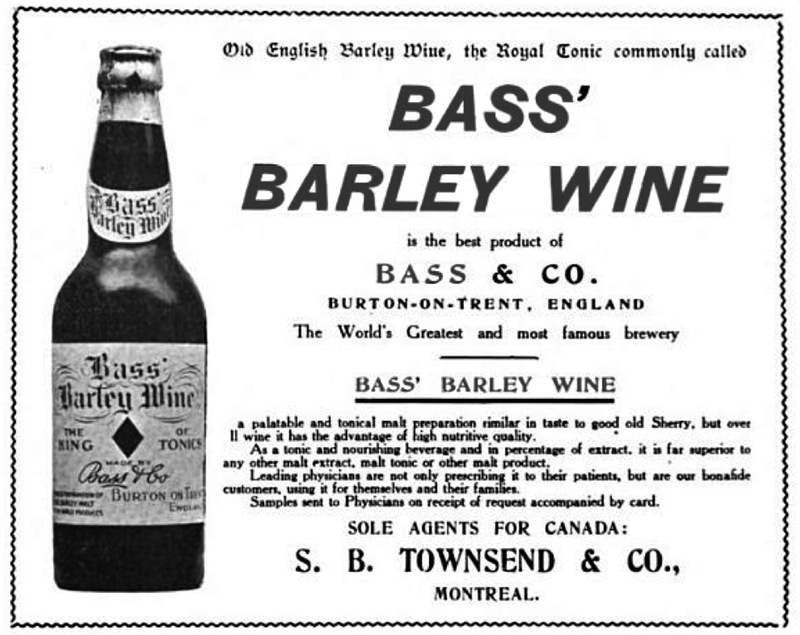 We will begin our story back in England, circa 1903, Bass & Co. Brewery is the first advertised time that a beer was called a barley wine. Bass, yes the one you know for being just a pale ale in the big guy’s (Anheuser-Busch/InBev) stable of historic European beers like Beck’s, Hoegaarden, Stella Artois, and Leffe. The commonly accepted practice at the time, for breweries, was that a single mash was used for all of the planned beers that they were going to brew. This process, called Parti-Gyle, involved using one wort, and then taking the first runnings from the mash and using it for the strong and stout beers (if you didn’t understand the pun; this first batch was normally used to produce stouts). The brewers would use later runnings for progressively lighter style beers. All of that explanation leads me to how the first marketed barley wine was created. Circa the turn of the century, Bass & Co. Brewery was a large (relative for the time) brewer that used this method to brew, and as such would number their beers in order of creation. Since they used the Parti-Gyle method, the first set of beers would tend to be very strong. At the time, they wanted a beer that would rival the attributes of grape wine. They wanted a very heavy, ABV beer that would look similar to a red wine, and taste more malty than what was currently out there. The goal partially being to offer wine drinkers a beer option. Bass followed a process in which it would name their beers with the number beer it was from the runnings. Therefore, what would eventually be named and be called a barley wine was Bass No. 1, because it was the first beer bottled from the mash. The traditional European barley wine is now described as low levels of bitter, but characterized by large quantities of pale malt. It was billed as a sherry or brandy substitute in historic advertising. It was marketed mainly to upper class English, and CAMRA’s (Campaign for Real Ale) description of barley wine describes it as a nationalist attempt of English to get fellow English men to switch to this instead of French Claret (a red wine from Bordeaux, or wine of a similar character made elsewhere). Barley wine is not as popular in English culture. The style of beer has taken a turn to only being produced in very niche instances by microbrewers. Many people describe the difference between the traditional English-style barley wines and the American modern style as the American style being less restrained and higher in strength and flavor. The origin of the American barley wine dates to as recent as 1975, when Anchor Brewing Company, which had been saved from closure 10 years earlier after having been established in 1896. The brewery used the traditional Parti-Gyle methods of brewing their beers, and just like Bass over 50 years prior, used their first runnings to create the first American brewed barley wine. They named it Old Foghorn Barley Wine Style Ale. It is still sold today, very often in nips. Nips are 7-8 oz. beer bottles in which many American brewers sell their barley wine, due to the high alcohol content. American barley wine has a great recognition for being high in hops compared to English barley wine. Higher hop levels coupled with its high alcohol content makes it a great candidate for bottle aging in a cellar. This is a very popular practice for beer enthusiasts. As a matter of fact, there is a great YouTube video done by the Better Beer Authority beer experts in which they do a vertical beer tasting of Sierra Nevada Bigfoot Barley Wine of a bottle from each year (2009 to 2012). 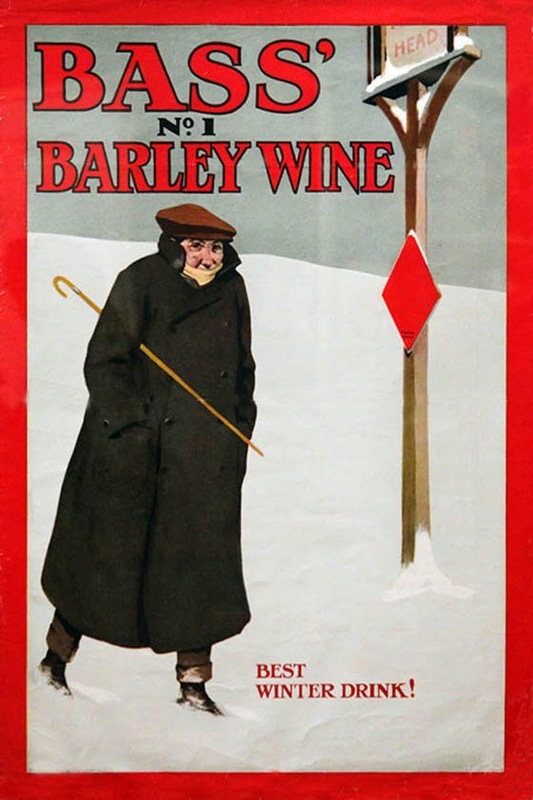 Barley wine in America has become loosely known as a winter seasonal beer since the high alcohol content can warm you up on cold winter days. However, many breweries do sell barley wine throughout the year. With all this talk about Barley Wines, that leads me into my beer review. I’m getting a very strong alcohol and malty aroma. The scent of fruit and nut are what I smell more than anything, and that provides a sugary smell. On a second go, I get a slightly floral scent. However, it was slightly difficult to decide if there was a primary note that overpowered the other notes, but I do not believe there was one. There was very little to no head on the beer. I didn’t expect that there would be much head, and I was not proven wrong. As you can see from the photo, there was a slight head immediately after the pour, but it dissipated very quickly. There was no latticing to the beer at all. I thought that it was a very enticing plum color. Slightly reddish, but there was a hue of burgundy. I wouldn’t call it a red wine color, but it is amazing how close this barley wine gets to a grape red wine color. Weyerbacher Brewing Co. is famous in my mind for strong beers that are high in alcohol content and flavor. This beer is no different and my first thought when I tasted it was that it tastes exactly how it smells. There is a malty and nutty taste right on the tip of my tongue. There is a slight fruity flavor from the start, but not as immediately as the malt. Immediately following the first taste, as I alluded to, I get the strong fruit flavor on the back and sides of my tongue. There is a bit of sour that forms, but it is so faint that is barely worth mentioning. I could see how it would be challenging to a beer drinking that does not prefer stronger flavored beers. At no point do I get a strong hop flavor within the beer. All that said, I am a fan of this flavor. 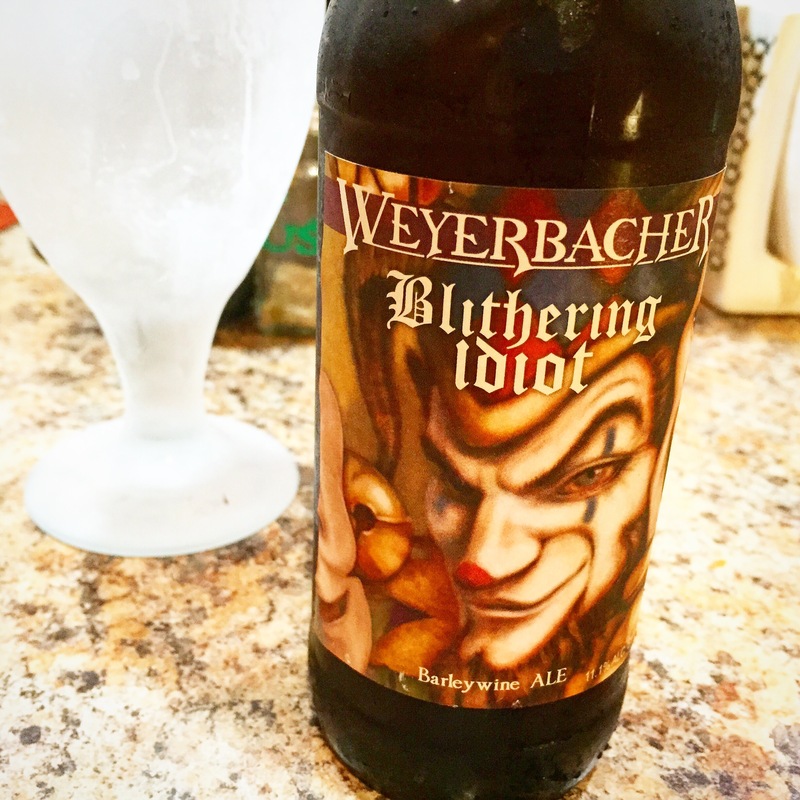 The Blithering Idiot Barley Wine by Weyerbacher Brewing Co. is a great, strong beer. It has the malt and fruit flavor and aroma that carries it from the bottle to your mouth. It has the mouth-feel to make it something to chew and sip on. It’s not a quick drink if that’s what you’re in the mood for. It is reminiscent of Weyerbacher’s Belgian quad that has a good strength from the whiskey barreling. Both of these beers are a somewhat challenge to drink. I drank this barley wine from a regular bottle, but it seems like something that I would have wished to find in the larger bottles to share with others or have another round at a later time. Alright, that’s my time, and as always, if you liked this post, please follow. And if you didn’t, please follow anyway. And please leave me a comment where I can see your opinion, because you probably know more than I do. Don’t forget to check out my Instagram, where you can keep current on all my beerscapades. Sorry, but you’ve got parti-gyling totally wrong. The separate runnings weren’t used for separate beers. They were blended post-boil to produce a number of beers, all of which contained some of each running. This is completely untrue. For a start, they went as far as No. 6. I’ve never seen more than four runnings from one mash. Also No. 1 and No. 6 were completely different styles (Barley Wine and Mild Ale) and would never have been brewed together. I haven’t seen Bass’s brewing records, but Truman, another Burton brewer than made a No. 1 Barley Wine often brewed it single-gyle. And the first mention of the term Barley Wine referring to Bass No. 1 Ale is from 1870. The 1st Barley Wine that I ever “Supped” was made then by Riddle’s it was a “Divine Sup” trouble was we were in the middle of a Seminar (it was during the Lunch Hour that this occurrence happened) we’d found out a small “London Off Licence” sold RBW, so as one does we all bought 4 (Stubbies) Spg.11-05. Well when we attended the Afternoon Session, and much to the boring Lecturer’s distaste, the Seminar was cancelled owing to our inebriated state. So Ladies and Gentlemen the myth of this “Tale is if your on a Company Seminar, don’t “Drink Barley Wine” from any Brewer’s!